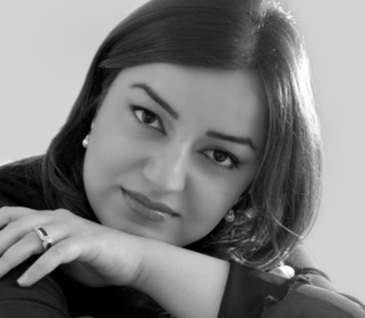 Shirin Majd, Classical Singer, Songwriter and Artistic Director of Sweet Sound Ensemble was born in Tehran, Iran. At age 17 she began studying classical singing and joined the choir of Tehran Symphony orchestra. She performed several concerts as a soloist or with orchestra in prestigious venues such as Vahdat Hall in Tehran. She performed with numerous renowned masters in Iran such as Rohani, Rahbari and Loris Tjeknavorian. She went on to study in Armenia with Hasmik Hasagorchian and later attended the summer courses at the prestigious Universitat Mozarteum Salzburg, studying with Professor Alessandra Althoff and Barbara Bonney. In 2010 she went on to study operatic performance and music at the Johann-Joseph Fux Konservatorium in Graz, Austria. In 2011 she performed excerpts from Verdi & Puccini operas at Erfurt Hall in Graz, Austria and has performed in various venues throughout Iran and Austria. Since moving to Australia, she has continued her education in classical singing with Margaret Schindler and Lisa Gasteen and graduated with Master of Music Performance and Master of Vocal Pedagogy at the Queensland Conservatorium. She continues her dedication to the art of operatic interpretation by attending Lisa Gasteen National Opera School in 2012. Each replica watches brand will design its watch according to the wearing environment of the replica watches uk when it manufactures the watch. For example, a formal dress watch is required to participate in a banquet, a diving replica watches online is required when diving, and a pilot needs a flying watch. Each is different. The type of uk replica watches has its special meaning. After moving to Australia, she joined The Queensland Choir and the Brisbane Mahler Chorus. She has performed as a soloist with different ensembles (Sweet Sound) in Brisbane and around Australia. Shirin was awarded best classical singer in BEMAC planet performances in 2012 where she won a scholarship to study music business. She had a successful performance at APSA 2013 in collaboration with world famous artists. In 2015 she was the vocalist and artistic director of an extended work on the poems of renowned Iranian poet Forough Farrokhzad entitled Rebirth which toured in Australia, UK and US. In 2017 she was the singer and artistic director of Tales of Scheherazade, a Persian opera which had its debut at the Queensland Conservatory.